All 5 species of rhinos are critically endangered. They are being poached for their horns at the rate of 3 a day! Without intervention, they will become extinct within a few short years. 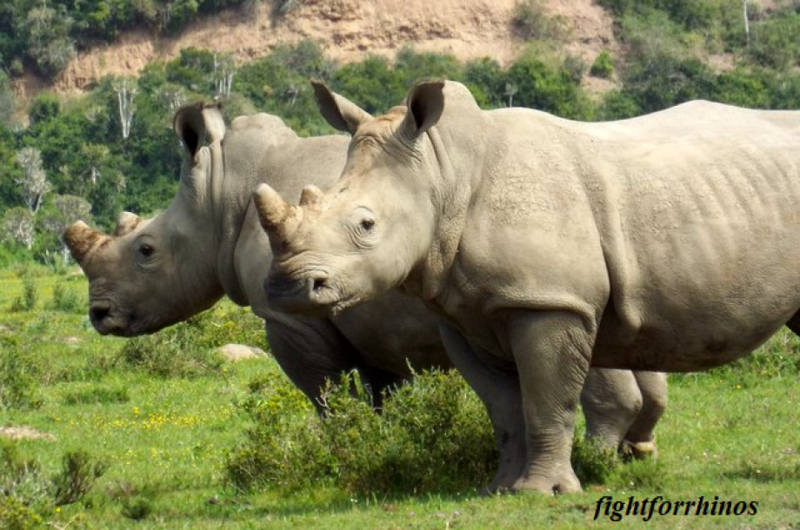 Fight For Rhinos mission is to ensure a future for rhinos by creating awareness toward the poaching crisis and providing support for rhino conservation projects. Established in 2012, we are an officially registered 501 non-profit in the United States. We are part of the global Rhino Alliance, and we support projects that we feel are the BEST combined efforts to secure a future for rhinos. For projects to date, please see “How we help”. We greatly appreciate any and all support for our efforts. 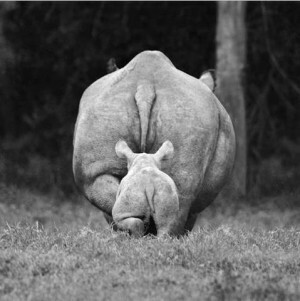 100% of donations go directly to the rhinos in our field projects. We do not take a cut for administrative fees or personal expenses. Bless you for what you do. please follow the link below to see all of the details. Great blog! So glad to have like minded people with big hearts in the blog world! Thank you Steph! Glad you like it. Where did you get your header?! I LOVE it! Thanks! Isn’t it great? I wish I could take credit. I found it somewhere online. Hopefully eventually I’ll run across the creator and be able to credit them! Hi Rhino Girl, Great blog posts, we didn’t even know there was a loop hole in the Rhino Protection, Glad it has been closed. Sure, I would love to publish a post on your site. Let me know what works for you! Hi Rhino Girl… are you going to fund raise? And if you are where will you place your funds? Yes, I plan to Margot. Just returned from Kenya. I am finalizing a couple things. I will be working closely with Helping Rhinos. Congrats and thank you my friend! Appreciate it very much! Well deserved 🙂 All the best for you, your blog and the rhinos! Thank you Carina! Much appreciated 🙂 Merry Christmas! Having been born and bred in Tanzania (Tanganyika as I knew it), it breaks my heart to see what has happened to wildlife in Africa. I spent large parts of my youth bouncing down the dirt tracks in the bush with my parents – wild creatures every where. The sounds of the night where wonderful, magical. Sadly I think I saw the best of it as today it is but a shadow of how it was. Such loss & destruction; the world seems to have no idea of the magnificence, beauty, and incalculable treasure that is being destroyed and murdered and all for ‘a piece of gold’. So many creatures all ready extinct, and so many others hanging on by a thread. What kind of indictment does that say for humanity. So sad, so terribly terribly sad. I salute you all for trying to turn the tide, many blessings Ravenskeeper. I really do not know how you guys can handle this. I am ashamed to be human and we are killing some of the most beautiful animals in the world. I wanne be a part and do my bid. How can we as South Africans let this happen. Bloody hell we love our wild live. It is NOT easy. But the alternative is not “handling this” and turning away. We cannot and will not. not quitting. You will read about another poaching tomorrow, BUT you will also read about a birth, a new law, new celebrity advocates, or heroic rangers. It is a war-there will be more killings, but with enough pressure, we can stop the bleeding! Being in SA, you have a unique perspective and opportunity to be present. Show up in court proceedings when you can. This inspires prosecutors, impresses judges and shows support. Pay attention to any and all council meetings locally. Start or add to petitions that may be in the local communities. If there’s any support you need, please contact us via email at Fightforrhinos@gmail.com. Thanks for reading Stacey! Please share and spread the word. I think you are writing great articles and bringing some great thoughts to issues involving wildlife. I hope that I can inspire people as much as you do. Keep it up.